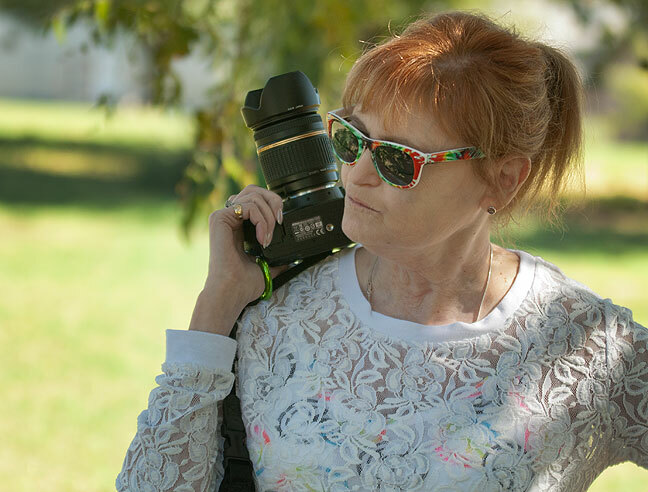 Abby works on photographing Gage and Tyler, her niece’s son and stepson, in Ryan yesterday. Abby and I went to her hometown, Ryan, Oklahoma, yesterday, to make senior portraits of her niece Amber’s son and stepson. It was a productive session, and it was really nice to see Abby with a camera in her hand again. On the way, we dropped the Kokopelli (our RV) off in Duncan. The Shoffner family reunion is next weekend, and while I can’t attend until Sunday, Abby will stay in the RV Friday and Saturday nights. 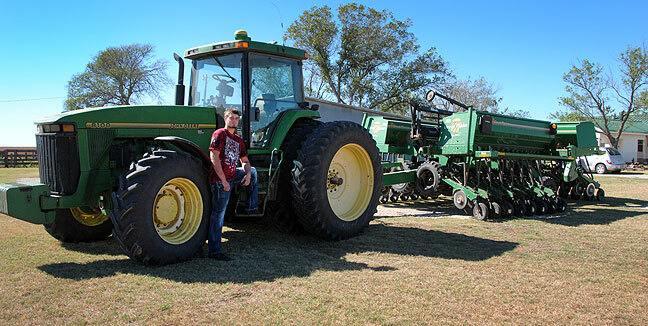 We found this combine parked at Abby’s stepmother’s house, and used it as a prop. 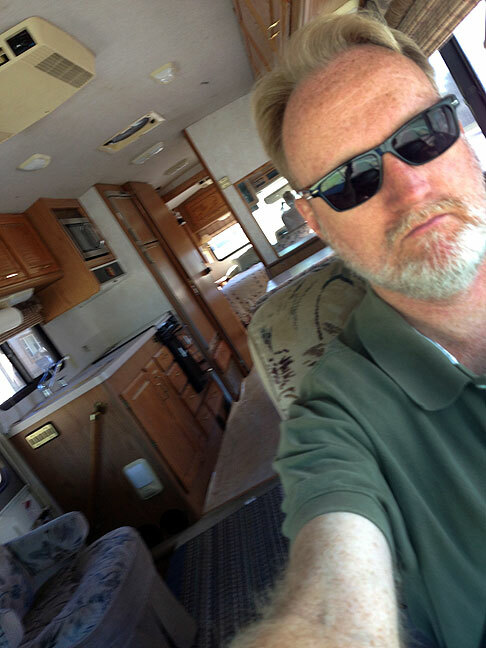 This is a selfie of me driving our RV to Duncan yesterday. The things I said and did to “impress” her. Charlie Brown quotes. Telling her I washed my hair twice a day. Shooting .22s at Boy Scouts. Stereo for birthday c. 1976. Joke my sister posted on Facebook last month: What do the Flying Wallendas and the Dallas Cowboys Cheerleaders have in common? The Wallendas have a cunning array of stunts. Dream: a coworker, Christy, is in a panic when she needs to bring a dozen newspapers from a warehouse to the office. When I ask her why she is so upset, she explains that she didn’t make the cheerleading team. After one pass at editing the senior portraits we shot yesterday, I feel we both shot well, despite working in the middle of the day. 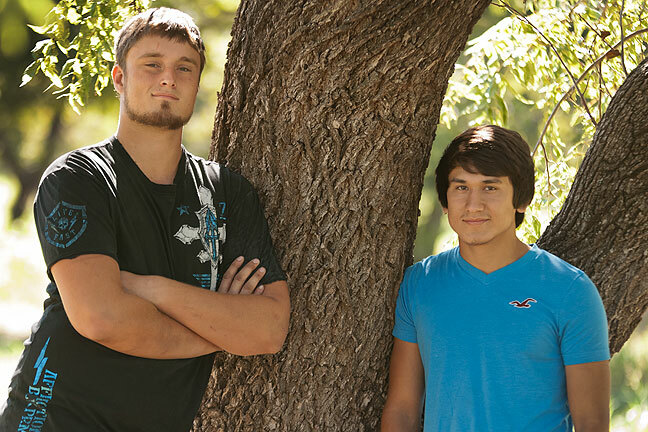 Here are our subjects, Gage and Tyler. A most enthused Yea! to reunion time. I look forward to seeing this years theme.